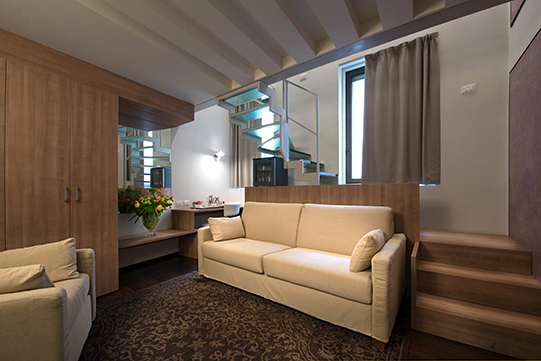 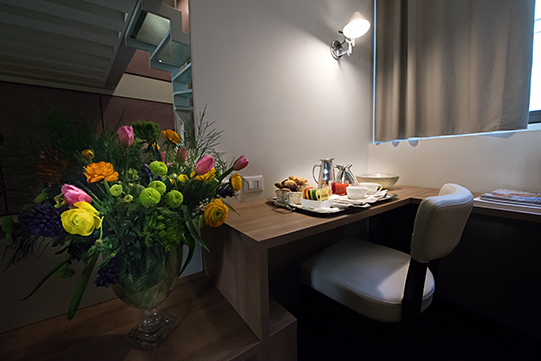 In a relaxing atmosphere our Junior Suites consists of two floors that are capable of hosting up to 4 people, thanks to the very confortable sofa-bed. 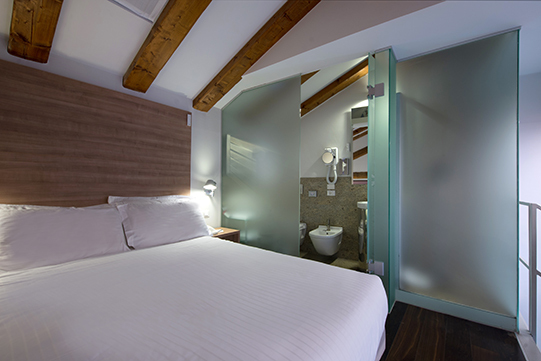 Installed with B&O TV, safe, tea break, telephone, mini-bar, natural bathroom kit and free wi-fi connection. 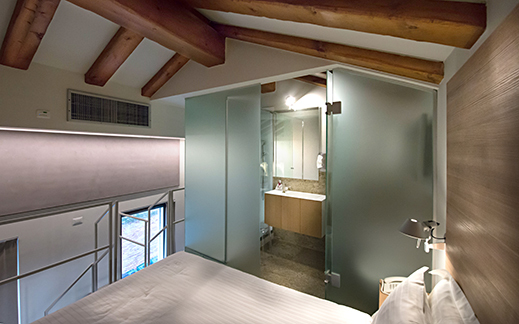 A King size bed with memory mattress is situated on the top floor, adjacent to the smoke glass bathroom.